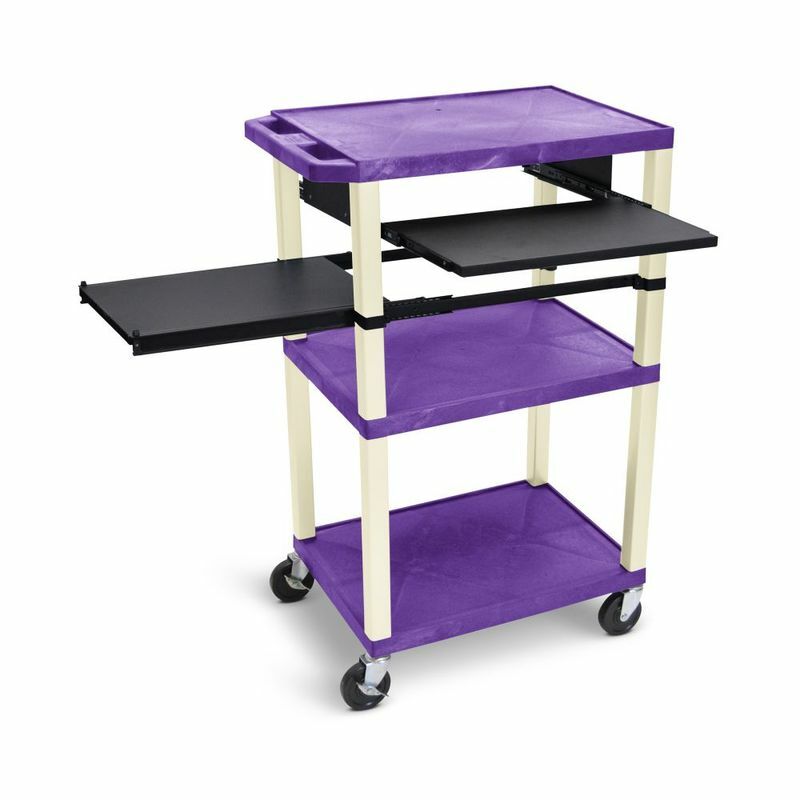 This American-made, Luxor 42" AV Cart offers two pullout trays (one side and one front) that provide additional space for a keyboard, laptop, projector and more. There's also a recessed, three-outlet electrical assembly for convenient power access. The three main shelves are made of molded plastic that won't scratch, dent, rust or stain, and all have a .25" retaining lip to keep contents in place. 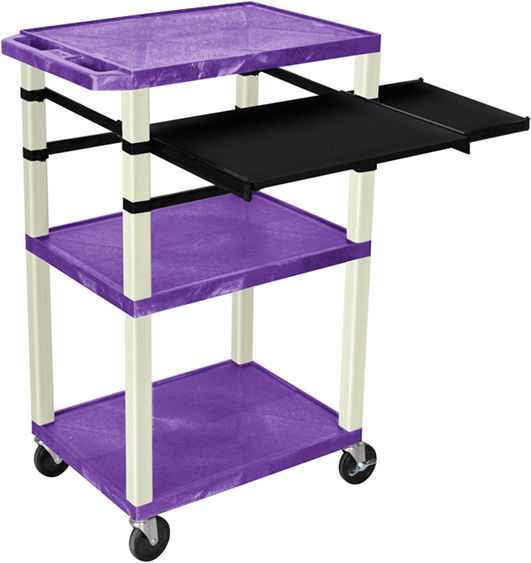 Square legs provide sturdy support and four 4" casters along with an ergonomic push handle make this cart easy to maneuver.